Davao. Home to some of the country’s pride— the world’s largest bird, the monkey-eating Philippine Eagle and a rare orchid of exceptional beauty, the waling-waling— both found in Mt. Apo, Philippine’s highest peak. 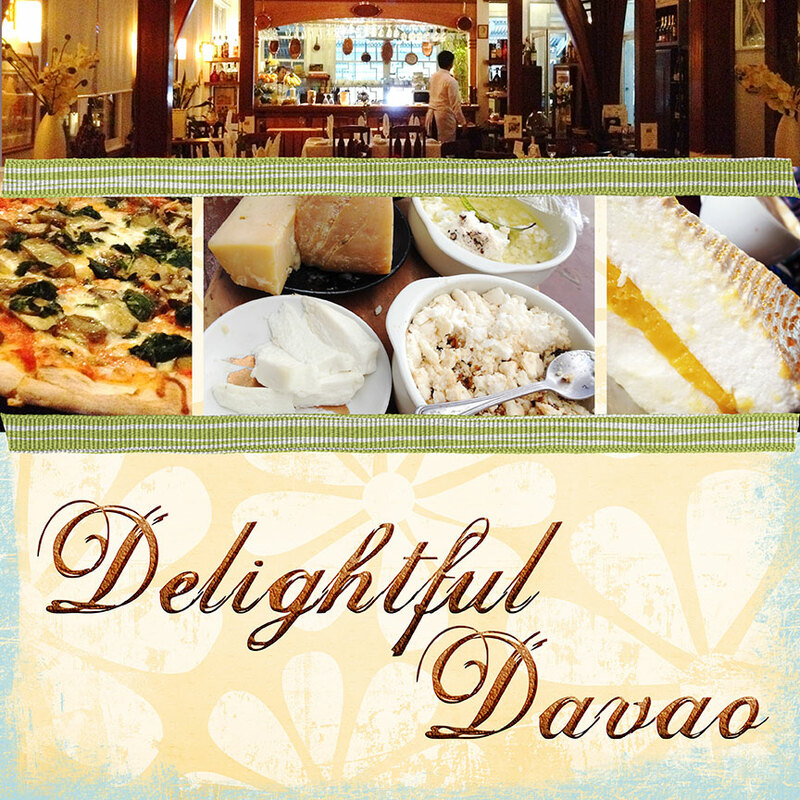 But there is more to Davao than these. Let’s not forget the “king of fruits”, durian. The area is known to be the center of durian production, thanks to its rich fertile volcanic soil and until recently, typhoon-free area. But more than durian, Davao is favored with other fresh, quality produce and fruits that are available all year round— pomelo, banana, mangosteen, lanzones, rambutan, mongo, peanuts, cabbage eggplant… among others. The city is a fascinating mix of small town allure and modern metropolis refinement. A metropolis inhabited by 1.4M people of different ethnic groups, culture and faiths. The city teems with good food and on my not so very recent trip there, I discovered a few worth mentioning. 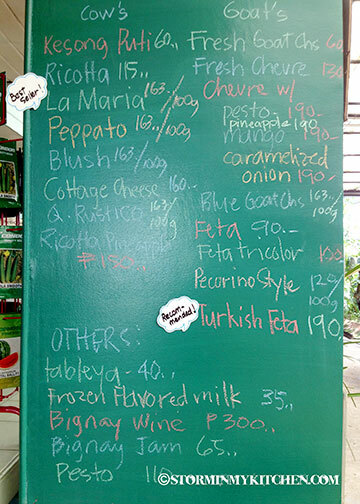 Along JP Laurel Ave., in Lanang is a deli and restaurant offering fine sausages, cured meats like bacon and hams, a selection of cheese, US and Australian steak cuts and even ostrich meats. 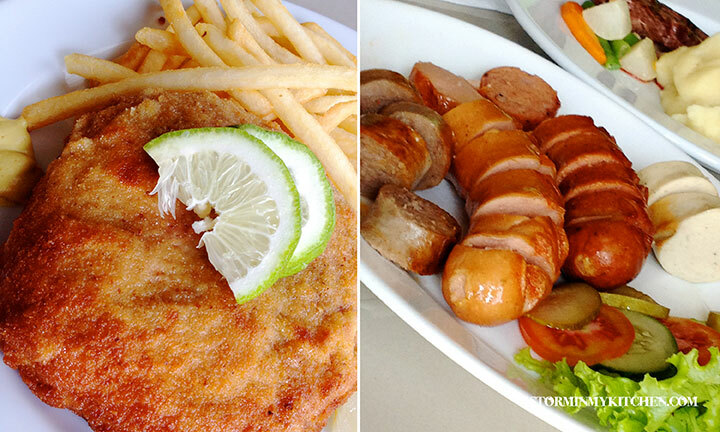 Owned by a butcher and a baker, Swiss Deli has been around since 2005 catering at first to expats and Davao’s upper crust. Today, they supply some of the bigger supermarkets nationwide. On my visit, the restaurant was packed for lunch. My superb lunch of Chicken Cordon Blue and a shared sausage platter. 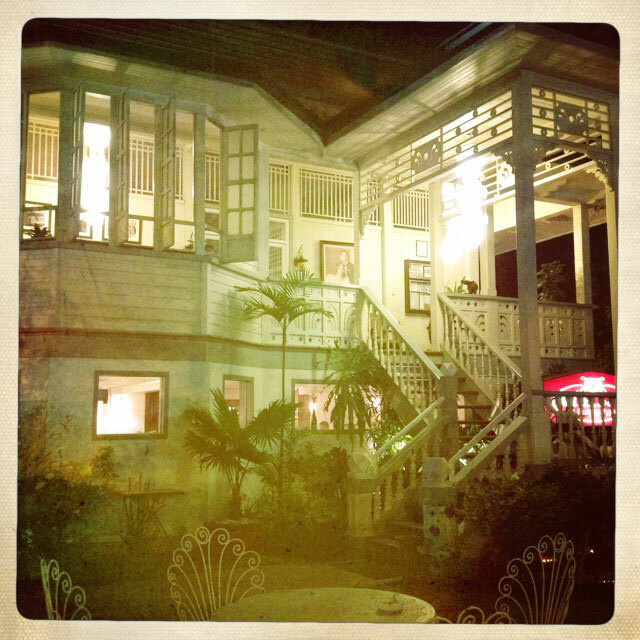 We drove into a driveway of a well-lit ancestral house. The garden well polished, the interior emulates the facade with old photos gracing the walls and well-appointed antique pieces scattered around. My favorite part of the house would be the porch— what a wonderful way to be greeted. This house epitomizes old world elegance through and through. 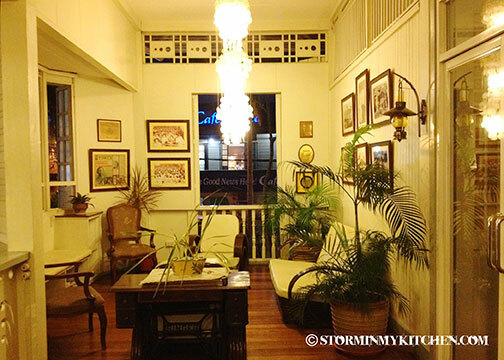 An ancestral home of the Oboza family (also called the Oboza Heritage House) now dwells the only full-service French restaurant in Davao, Claude’s Le Café de Ville. Complementing its charming home are wonderful dishes served from its kitchen headed by husband and wife team Claude and Tess Le Niendre. 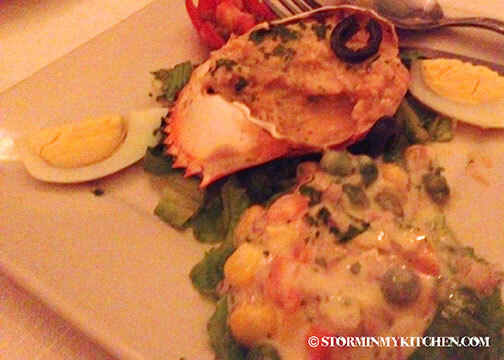 I had the Crab Cocktail to start and the specialty of the house, the Fillet of Beef Tenderloin with Pepper Sauce. The crab appetizer was excellent, and my main, albeit a bit overcooked for my taste (it was more medium well than my preferred medium), was tasty and still juicy. 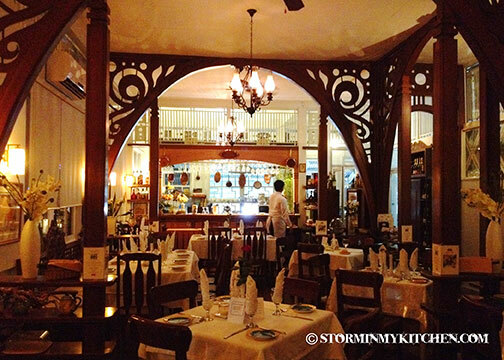 A pretty authentic French restaurant in Davao was definitely a pleasant surprise. Davao surprises me, I tell ya. After an evening of wonderful French feasting, we were on our way, the next day, to buy artisan cheese. 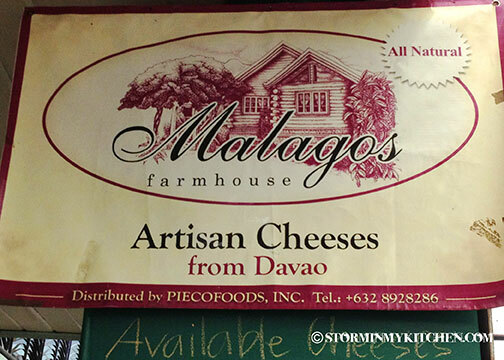 This wasn’t the first time I had tried cheeses from Malagos and so impressed I was, I had to find them and see what else they had to offer. 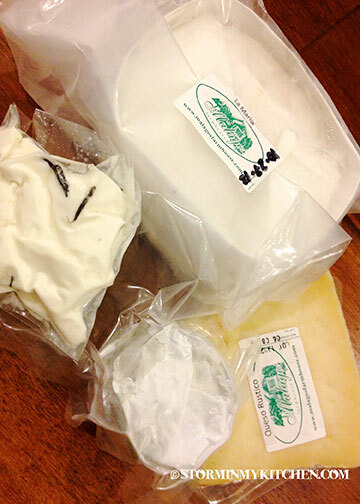 Olive Puentespina, the woman behind Malagos Artisan Cheeses, has been producing cheeses since 2006. 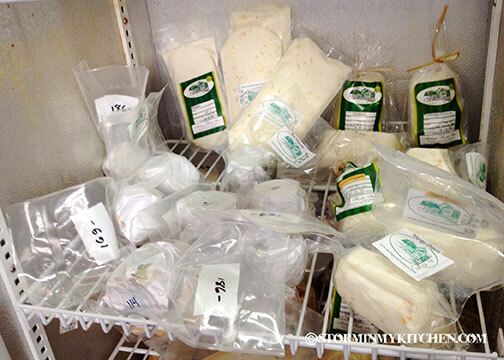 All made from hybrid cows and goats from their dairy farm. 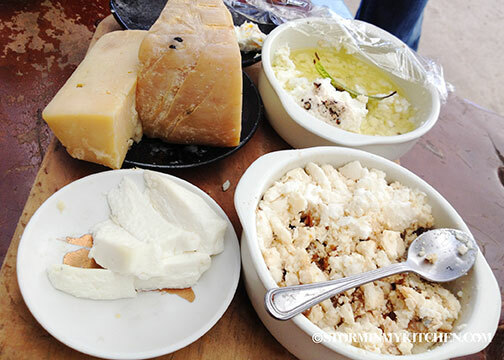 A cheese spread was laid out for us to try over at the farmhouse—from quesong puti, to flavored chevres, to manchego blue—an unbelievable spread, all proudly made in Davao. Personal favorites are: Queso Rustico (semi-soft cow’s milk similar to a manchego), Blush (Queso Rustico with a tint of blue), La Maria (similar to a camembert), Feta tricolor (feta with chili and rosemary, infused fresh), and the Chevre with mango (a blend of creamy French style goat cheese with sweet mango bits). 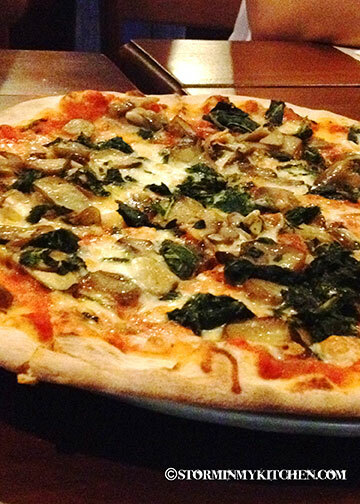 For wonderful pasta and pizza, Spirale Ristorante will not disappoint. Thumbs up for the Vongole ai Chorizo (a wonderful combination, don’t you think?) and the pizza, which is cooked in a wood-fire oven. Crust was doughy yet crispy. 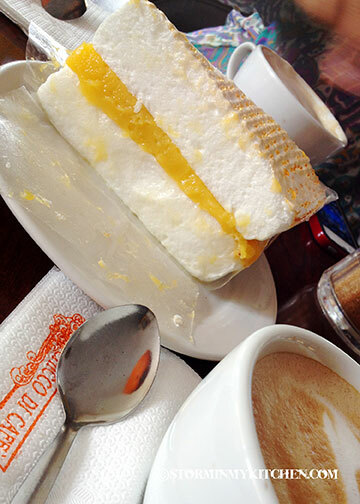 For their Durian Brazo di Mercedes. Yum!!! Anything durian is possible in Davao. I had my first taste of durian in an ice cream in Davao some 20 years ago and I’ve never looked back. I. Adore. Durian. You are currently browsing entries tagged with Deli at Storm In My Kitchen.